SIBLING launched on May 29th 2008 as a collaboration between Joe Bates, Sid Bryan and Cozette McCreery. 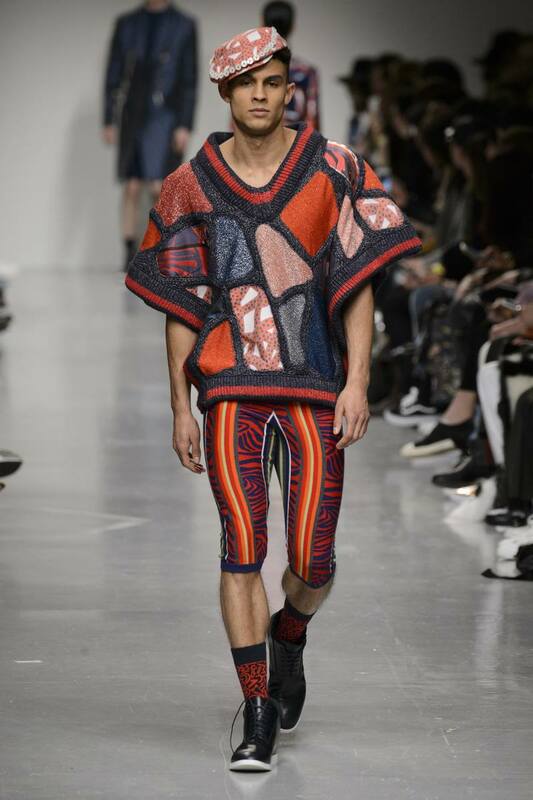 The premier menswear collection included bright and playful subversions of classic knitwear styles such as cashmere Twinsets in sequin leopard and sparkling Bretons. Today Sid Bryan and Cozette McCreery continue the brand where leopards, sequins, spots, stripes and vibrant colour (especially SIBLING Pink) have become integral to the label’s signature. From AW12 they offer the same integrity and spirit to women under the same brand name. Their famous full Fair Isle knit look (known affectionately as Knit Monster) takes the cover of the book Doppelganger and travelled globally as part of the Wool Modern exhibition. Balaclava wearing Pandas Rock! and Tattooed Man exhibited in Holland in 2013 and their Sequin Kanaval Masks have made front covers: most recently Beyoncé on CR Fashion Book. Awards include: Newgen Men and Women, Fashion Forward for Menswear and the first Dulux Colour Award: Best Use Of Colour In Fashion & Beauty. SIBLING were also the European representatives for WOOLMARK in 2014 and continue to act as ambassadors through WOOLMARK and Wool Modern. Collectively as SIBLING they have worked with: Robert Clergerie, Smiley, Swarovski, Barbie, Fashionary, G shock, Baby G, Cassette Playa, Lulu & Co, Oxbow, Tween, Fred Perry, Studio Voltaire, Topman, Topshop, Jacob’s and PUMA. Artist collaborations include Noble & Webster, Clym Evernden, Noah Scalin, Will Broome, Mike Egan and Jim Lambie. Fans include Beyoncé, Mariah Carey, Pharrell, Rita Ora, Daisy Lowe, Laura Bailey, Bella Freud, Chris Brown, 1D’s Louis Tomlinson and Noel Fielding.